Developed by Northern Survey Supply (NSS), MOSS incorporates a robotic total station to control layout activities related to surveying and the design location of the jumbo drill pattern layouts on active headings. The solution reduces manpower and over-break by at least 10%. With MOSS implemented in active headings, NSS sees a direct result in improved workflow and faster cycle times. The entire seven-step process takes on average 20 to 25 minutes. MOSS reduces expenditure due to the real-time data directly provided to the miner. Performed by one operator, the collected data decreases manpower costs while increasing personnel safety. MOSS’s Robotic Total Station features with scanning capabilities such as the MS60 from Leica Geosystems or Self-Learning Total Station. The instant creation of point clouds with overlaid measured points and 3D models in a single view facilitates the scanning process, while an all-new 5in screen enable clearer visualisations. The Leica Viva TS16 Total Station, the world’s first self-learning total station, automatically adjusts to any environmental conditions. Engineered to withstand adverse conditions, the Panasonic FZ-G1 Toughpad® is built to operate flawlessly in every environment. Running Windows 10, the tablet integrates seamlessly and securely with enterprise platforms. Used with multi total stations, the monopod is a mining line and grade tool. The internally threaded bronze wall inserts (1in diameter) are drilled and countersunk into the drift wall. The monopod wall mount is subsequently secured to the wall insert and becomes a steady platform for a laser theodolite, giving miners a synchronised control station to lay out line and grade measurements. The Laser Theodolite displays horizontal angle and percent grade directly on the working face for easy mark-ups. Mini Prisms offer a high-positional accuracy due to their small size. Leica’s GMP101 has a built-in levelling bubble and target plate, incorporating an attachable spike. With this arrangement, a point can be measured with very high precision with a prism constant of up to +17.5mm and infrared (IR) range of 2,000m (7,000ft). MOSS incorporates tripods by Leica Geosystems, which provide high levels of stability and torsional rigidity. They also offer height stability under load and minimal horizontal drift. Automating mine surveying applications for decades, NSS has partnered with Precision Mining Systems, Autodesk and Leica Geosystems to develop MOSS. The company has been helping underground mining operations achieve safety and productivity goals by adapting and embracing this new technology. Northern Survey Supply, based out of Sudbury, Ontario, Canada is proud to announce that they will be hosting a Break Out Session at this year’s Hexagon Live conference in Las Vegas, Nevada. This brochure includes details about MOSS's face mapping tools, which are designed to minimise digitisation times. Professional reliability when you need the most demanding accuracy. Delivering the most accurate positions. Intuitive technology adjusting to any environment. This free white paper contains the procedure on how to perform a complete markup using MOSS. 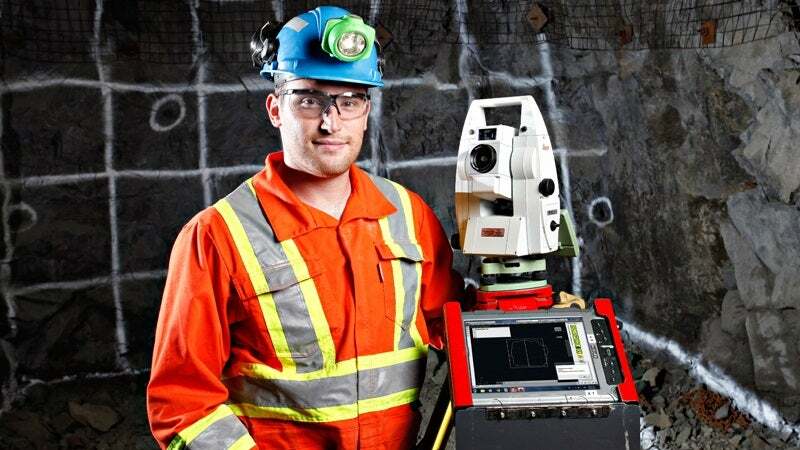 The MOSS Miner Operated Survey System is a computerised survey solution used in underground mining sites by miners. MOSS (Miner Operated Survey System) can now perform Face and Back Mapping directly on the MOSS tablet, allowing field geologists to digitize their work in a fraction of the time. Northern Survey is to showcase its MOSS Solution at CIM Expo in Canada. Northern Survey Supply will be showcasing its mining solutions at this year's PDAC 2018 Convention in Toronto, Canada. Northern Survey Supply will be showcasing its solutions at Quebec Mines Show 2017 in Canada.